Attack 1 : awesome face!!!!! 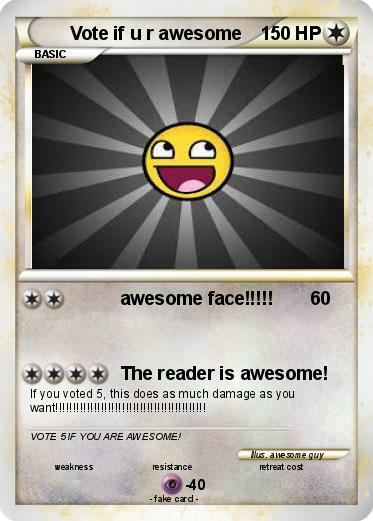 Attack 2 : The reader is awesome! If you voted 5, this does as much damage as you want!!!!!!!!!!!!!!!!!!!!!!!!!!!!!!!!!!!!!!!!!!! Comments : VOTE 5 IF YOU ARE AWESOME!